​Home Secretary Theresa May has withheld approval for three crowd control water cannons bought by London Mayor Boris Johnson at a cost of over £200,000. According to The Guardian, a government source said a decision on licensing would be delayed until after the general election in May. The cannons were purchased second-hand from Germany in a move backed by Metropolitan Police Commissioner Sir Bernard Hogan-Howe. 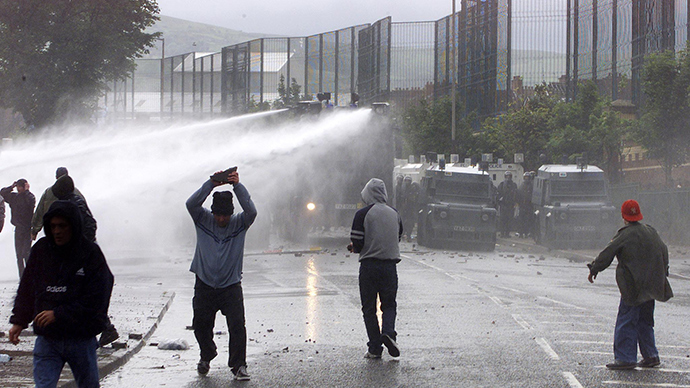 Hogan-Howe had said he wanted the option of water cannons for public order operations following the riots of 2011, but the Home Office decision has led to fears they may never be used. Critics of the scheme have applauded the decision not to issue licenses. Green Party London Assembly member Jenny Jones, who had previously attacked the acquisition as “idiocy,” told The Guardian: “I am delighted that the home secretary has seen sense and will not be approving water cannon. A mayoral spokesperson told the paper: “Independent polling shows that the majority of Londoners support the police having water cannon at their disposal for use in exceptional circumstances. Having arrived last summer, the water cannons have been undergoing adaption and refitting. He pointed out that water cannons, which are meant for dispersing densely packed crowds, seemed tactically inappropriate for instances of civil unrest like those seen in 2011. In June 2014, Johnson tried to convince the British public of the safety of the riot gear by offering to be blasted by water cannon as a gesture of good faith during an interview with LBC Radio’s Nick Ferrari. However, that public spectacle has yet to take place, as Johnson has not been shot by the as-yet unlicensed water cannons.